This article is all about how to make money with affiliate marketing for beginners. Your experience level does not matter. As well, the amount of money that you have to start with does not matter. The techniques that I will teach you here can be used with or without any money to begin with. Firstly, you need to get your mind in the right place. I am not going to sit here and tell you about some “magical” way to instantly make money online, or as an affiliate. This is contrary to a lot of the crap you will see online, especially in affiliate marketing facebook groups and forums. If you’re starting from scratch, keep in mind that it will take a bit of time to start seeing results. The amount of time that it takes, will depend how much time you have to put into it. When I first started, I was still working my 9-5 corporate job and doing it on the side. So for me, it took about 2 months to finally start seeing some results. For those who have a lot of time to spend, if you do these things every day for two weeks, you will absolutely start to see results quickly. I personally have a blog and a YouTube channel. I found that social media was too overwhelming for me and a podcast was a bit much to learn as well. But I recommend to start with ONE and focus fully on that one. I also started with a background in web development so it was easy for me to figure out how to have a blog and I had a good understanding of SEO. What I’ve found over the 2 years with affiliate marketing, is that it is crucial that you choose ONE affiliate offer and stick to it until you start making money. This is extremely difficult to do when you are first getting started because (and I know from experience), it is easy to want to try a different program when you’re not seeing results. This is absolutely the opposite of what you need to do if you want to be successful. The one I began earning money from FIRST was Clickfunnels. The reason being, they have a 30-day challenge that teaches anyone to go from zero to $$$, they have a massive online community for affiliates, and they have a lot of promotional resources. I learned so many awesome and profitable techniques from this program. Choosing the feature is different from choosing the offer. Let’s say, for example, I’m promoting MoneyLine and I like the aspect of MoneyLine which allows the members to connect with each other for free. So I decided to promote this feature. There’s quite a few different keyword phrases you could discuss in regards to that feature MoneyLine. You use these keyword phrases to create content on your medium. Try to think of topics that people would be searching for and want a solution to right away. For example, this very article you’re reading – you want the answer right away, on how to be a successful affiliate – and I am giving you the full details. Why does this technique work? The idea behind this technique is to gain trust in exchange for your knowledge or help. So you see, even if you don’t know me, by reading this information that I am sharing right now, you will begin to trust me. It’s simply the psychology of it. what else is this person posting? how can i follow this person? Can i get involved with the same opportunity as this person? How can I get more help from this person? 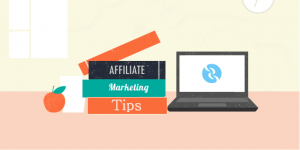 Want to know more about how to make money with affiliate marketing for beginners? Then join my free Affiliate Mastermind Facebook Group where we discuss all sorts of online marketing techniques that you can use for your affiliate business or online business.